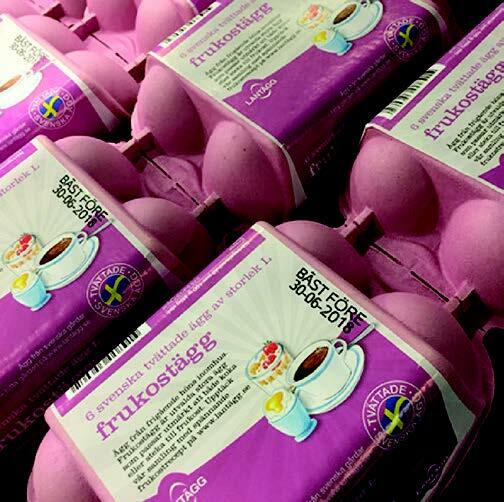 Pittsburgh, PA (November 27, 2018) – DAVA Foods, an egg processor and packager in Sweden, has significantly increased their efficiency rates by utilizing a low-maintenance thermal inkjet printer from Matthews Marking Systems to print “best before” dates directly on their egg cartons in lieu of applying labels. By eliminating the need for labels, all 17 of their production lines are now able to operate at a much higher speed, as well as drastically decreasing material costs. 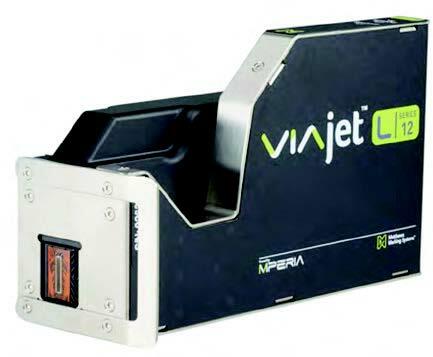 Matthews replaced the label printers/applicators throughout the entire plant with easy-to-use, cartridge-based VIAjet™ L-Series TIJ printers. 8 of the 17 production lines are equipped with two 0.5-inch printheads, allowing DAVA Foods to run both 6- and 12- packs on the same line. The L-Series marks the variable “best before” code directly on top of the egg packs at 1,200 feet per minute, and starts up and shuts down within seconds, minimizing downtime. DAVA Foods can now mark 120,000 packs per printhead before requiring a cartridge change. “Since we have installed the inkjet solution, we have increased our efficiency (egg per working hour) a lot during the last year. A couple years ago, we packed 4,500 eggs per working hour; now we are around 6,500 eggs,” says Eive Andersson, Supply Chain Manager at DAVA Foods Sweden AB. DAVA Foods and Matthews Marking Systems collaborated back in August 2018 to create a Case Study video around these new processes and successes. The video can be found on the Matthews YouTube channel.